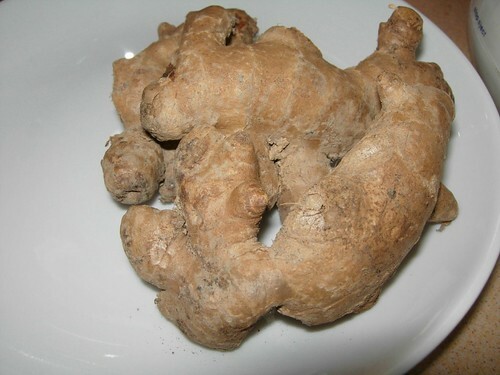 Why old ginger? In Cantonese, lou keong means the older one gets, the hotter it becomes. 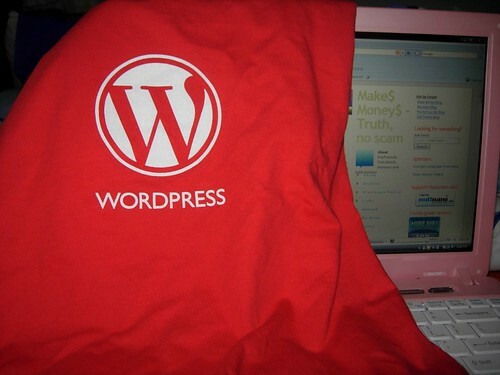 Go this official, limited edition WordPress T-shirt yesterday from Amy. Doris and Samm ordered as well so four of us have it. Price in British pounds so it is freaking expensive. Almost RM100 per T-shirt, inclusive of postage. But who cares lah, we got money, lots of it. Correct or not, girls? 😉 Moreover, WordPress has given us the platform to blog and make LOTS of money so supporting the WordPress organisation by buying one T-shirt is certainly the right thing to do. One of these days, I must go to Ipoh when Doris is there so we can show our t-shirst from S, M to L. Let’s see….what shall we call our bloggers gathering? Anyway, this is just an inane post. Many people blog like this. I am off to have dinner in a bit. The weather is hot today. I maybe sleeping early. My clothes are in the washing machine and I am about to put it over to the dryer. Hubby is coming back in another 17 minutes. See you! Heh, no comments necessary. Thank you. Previous Previous post: Routine? What routine? That Amy still havent brought mine over, LOL. Niamah, sommore tok we both live in Ipoh worrr, kakakkakaka. Ya, one day we take pics wearing the hot hot wp tee….. The 3 WP earning tai-tais!! Batu Feringgi night market got sell the t-shirt or not? Bryan – Yayaya, the tai-tais earn money that no one knows. Hehehe. Kenot lah, pasar malam got no tag like ours wan. zewt – Choy, kenot. You Blogspot Blogger mah. samm – Wet T for you! terence – Chey…paying RM100 baru shiok mah. Status. Kahkahkah.